US manufacturers invest time and money to ensure they make a high-quality product. All those resources go to waste, however, if they don’t give the same amount of attention to transporting that product. When it comes to material handling, it’s important to find a trusted provider who has your best interest in mind and the expertise to get you what you need. Timber Creek Resource is one such partner, providing custom-designed crates for companies around the United States. These innovative variations of the same wooden crating used since WWI are a reliable and cost-effective way to protect exceptionally heavy inventory. Several decades ago, everything from furniture to ammunition was often stored and shipped in wirebound crates. After corrugated packaging entered the market for use in lighter-duty industries, wirebound crates remained the best packaging solution for storing and transporting heavy materials in harsh conditions. Still today, the classic wirebound crate protects everything from rockets to electrical insulators along global supply chains. So how does a wirebound crate work? It’s a wooden structure held together by slats and a number of wires wrapped around it to secure the cargo. It’s a simple formula that allows engineers at Timber Creek Resource to tailor their designs according to the needs of the customer. That’s one of the reasons the wirebound has stuck around for so long. They’re a favored material handling solution for forging mills, heavy-machinery manufacturers, and the military because of the ability to customize and reinforce their wooden structure as needed. At Timber Creek Resource, one of the nation’s largest lumber wholesalers and custom industrial crating builders, packaging engineers have spent decades designing wirebound crates to match any size or strength requirement. Using additional wires, ribs, and structural variations, customizing them is typically simple and cost-effective for the customer. Some of the available design variations offer greater storage and material handling flexibility. 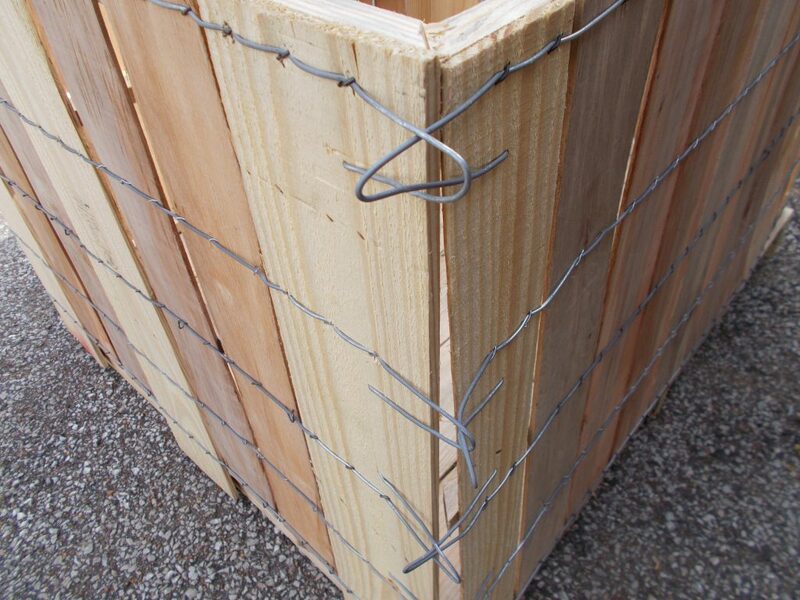 By reinforcing the corners on a wirebound crate, boxes containing heavy hydronic boilers or multi-ton metal castings can be securely stacked without weakening the crates. Even when subject to freezing temperatures, intense humidity, or outdoor exposure, stacked wirebound crates maintain their strength for years. Their exceptional durability allows customers to safely implement a wide range of storage strategies for optimal workflow and inventory management. This is one of the reasons customers in heavy industry prefer wirebound wooden crates to corrugated or OSB options. Even in dry storage facilities, corrugated packaging will lose its strength over time as it absorbs moisture out of the air. As a result, stacked corrugated boxes sometimes fail unexpectedly in storage facilities, potentially damaging warehouse infrastructure, inventory, or worse — injuring people. Wirebound crate expert at Timber Creek Resource, John Tomaino, has unfortunately seen this happen to some of their incoming customers. Another key benefit of the wirebound’s customizable design improves shipping and handling. The wooden slats securing the walls of the box can either be tightly sealed to prevent leakage or left open for post-packaging access to the product inside. When intentionally constructed, open spaces in the wirebound crate’s design allow products to be inspected for damage during shipping, allowing material handling operations to address any mishaps before they disrupt the supply chain. Wirebound crating is logistically economical, too. It’s reusable from manufacturer to distributor and can be shipped flat at around 500 pieces to a truckload, making wirebound crating particularly suitable for high-volume, heavy-duty material handling needs. However, the full range of heavy-duty packaging options isn’t restricted to the wirebound design. 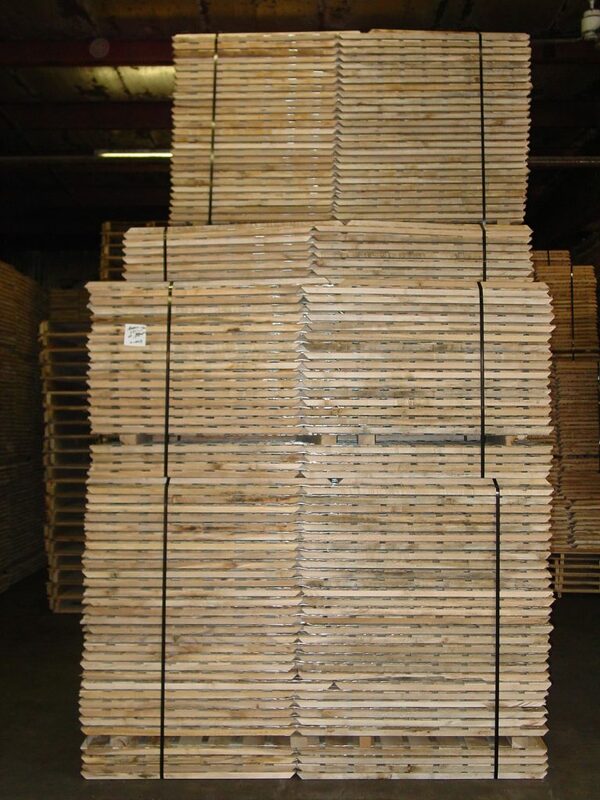 Timber Creek Resource also leverages its unique engineering capabilities to produce another type of industrial wooden crate to serve the unique needs of their heavy industry customers. Streamlines Material Handling When securely crating fully assembled machinery or large and extremely heavy materials, the process can be labor-intensive and time-consuming to complete. Hefting the crating components needed to support and store heavy products also requires additional employees per project for safe manual assembly. This is where the hinged-corner crate demonstrates its value: it helps heavy industry streamline packaging processes without the need to invest in extensive automation or additional material handling equipment. Like the wirebound, the hinged-corner crate is reusable, exceptionally durable, and capable of withstanding the elements for long periods of time. Instead of using wires and loops to secure the wooden structure, a hinged-corner crate folds open like a carton. This innovative design allows packaging assemblers to efficiently slip the lightweight crate over the top of a finished product, just needing to nail the top and bottom, saving time and money during the packaging process. When not in use, the hinged-corner crate is collapsible for convenient, space-saving storage. The lighter-than-plywood construction of a hinged-corner crate is also highly customizable. At its location in Wausau, Wisconsin, Timber Creek Resource offers metal tab or ultra-tough nylon strap hinges, depending on the needs of the customer. When crating exceptionally large products, such as heavy farming equipment or utility vehicles, Timber Creek Resource will typically build a variation of the hinged-corner crate called a half-tube design, consisting of two separately hinged pieces. Once slipped around either side of the product, the separate components are then nailed together for a secure fit. Given that the capacity of hinged-corner crates is completely scalable, larger half-tube crates are just as proportionately sturdy as their smaller counterparts. 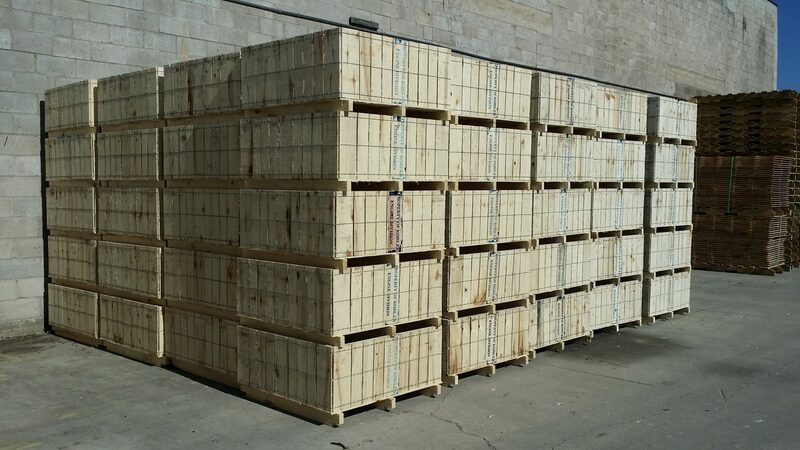 Timber Creek Resource also uses their ISTA (International Safe Transit Association) certified lab for tests that measure how the crates will hold up to the shaking and vibrating that comes with long-distance transport. For those who truly need to see it to believe it, product demos and samples of hinged-corner crates are also available upon request. According to Dave Thurs, an industrial packaging expert at Timber Creek Resource, the primary reason customers switch to the hinged-corner crate is because, “It’s lighter and less bulky than a standard plywood option, but stronger and more durable than OSB or corrugated options.” The uniquely space efficient yet sturdy hinged-corner crate offers the best of both worlds. Finding an effective and cost-efficient industrial packaging solution for heavy industry doesn’t require reinventing the wheel — but it does call for packaging expertise to find the option that works best for the application. Luckily there are reliable partners like Timber Creek Resource providing quality solutions to protect the product you work so hard to perfect. For more information, visit www.tcrllc.com.